Many predicted this would happen, and now Star Wars: The Force Awakens has surpassed Avatar as the highest grossing film of all time in North America. 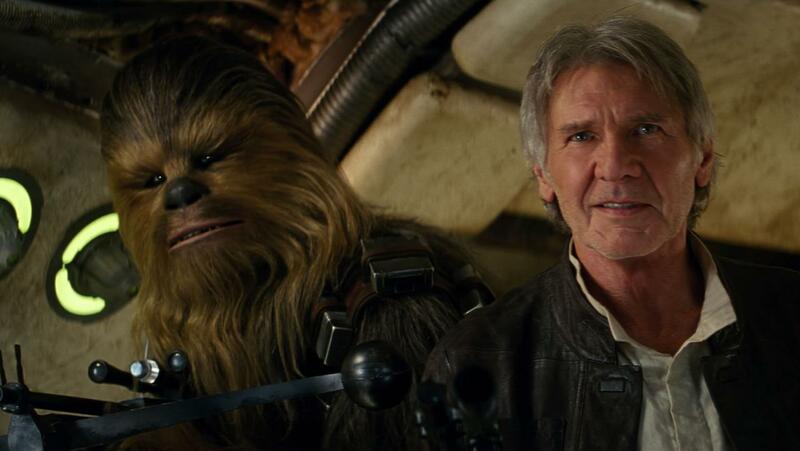 As of Tuesday, The Force Awakens has made $758.2 million domestically and by the end of today is expected to have passed Avatar's $760.2 million. That being said, The Force Awakens still has a long way to go before it passes Avatar's international box office total of $2.78 billion (The Force Awakens currently sits at $1.56 billion worldwide) or the all time adjusted for inflation record of Gone With the Wind of $3.44 billion. That being said, this is still cause for celebration for Star Wars. It's always great to see a Star Wars film as #1 in anything. Congrats to JJ Abrams, Kathleen Kennedy, and the entire cast and crew of the film on all their success! How many times have you seen The Force Awakens so far? Let us know in the comments. 3 glorious times. I plan on seeing it 2 more times at least. Twice. Gets better with multiple viewings. 4 times. Twice at the TCL chinese theatre in IMAX 3-D laser projection, and twice at a 2-D theatre, but one of the theaters had reclining seats (non-stadium seated) though, but was still enjoyable. I might see it one more time. 4...and planning on banging my gf in the back of the theatre on number 5! Once. I plan on seeing it again. 4 exciting times!!! And in each one of them I got the same emotions....Awesome!!! J.J. Abrahams knew how to touch your feelings with some kind of nostalgia and with very good action scenes. The lightsaber fight was real, not as fast as they were in the prequels, but good enough to keep your attention the whole movie. Brilliant!!! Four times! Three regular showings and my first IMAX showing.